Jump in. Make friends. Change worlds. Winding Worlds: a beautiful puzzle-adventure from the makers of GNOG. 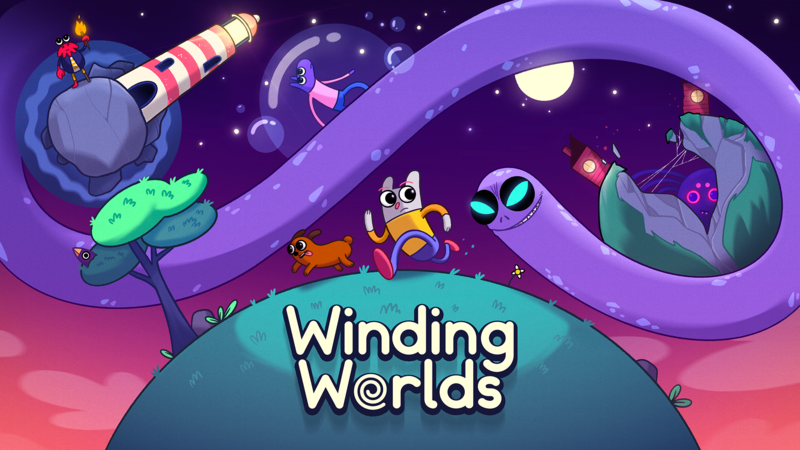 Winding Worlds tells the story of Willow, recently hired by a mischievous cosmic snake to clean up his passage to the afterlife. Help a diverse cast of lost souls find acceptance and move on from their lonely planets. Winding Worlds is the follow up to KO_OP's award winning game GNOG. The team is once again exploring simple and intuitive gameplay by turning the surface of your touch device into a direct link with the worlds, characters and timelines of the game. There are currently no trailers available for Winding Worlds. Check back later for more or contact us for specific requests!